Wildlife photographer Tim Fitzharris is the artistic mind behind a beautiful new stamp released this month by the National Postal Service. 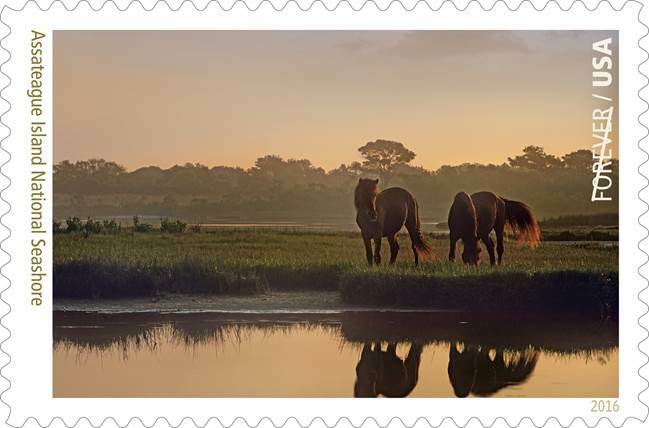 Tim’s photo of wild horses at the Assateague Island National Seashore (a beautiful sandy, beachy barrier island park that straddles Maryland and Virginia) will be commemorated on a Forever stamp as part of a pane of 16 stamps celebrating the National Park Service’s Centennial this year. Tim’ latest pictorial book, Wild California, was published in 2013. 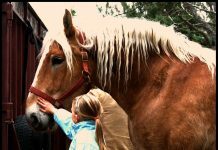 He is also the author and photographer of 27 additional books on wilderness and wildlife photography. He is one of the most published nature calendar photographers in the world. His photographs are published worldwide, appearing on the covers of Life, Audubon, Nature’s Best, Terre Sauvage, Outdoor Photographer and many other publications. He lives in Fayetteville, Arkansas. Check out a couple other stamps from the national parks series, like Acadia National Park and Arches National Park. Follow Kitson Jazynka on Twitter at @KitsonJ and on Facebook.